Although communicating visually is becoming increasingly important for all kids, for some children communicating with words is incredibly difficult. 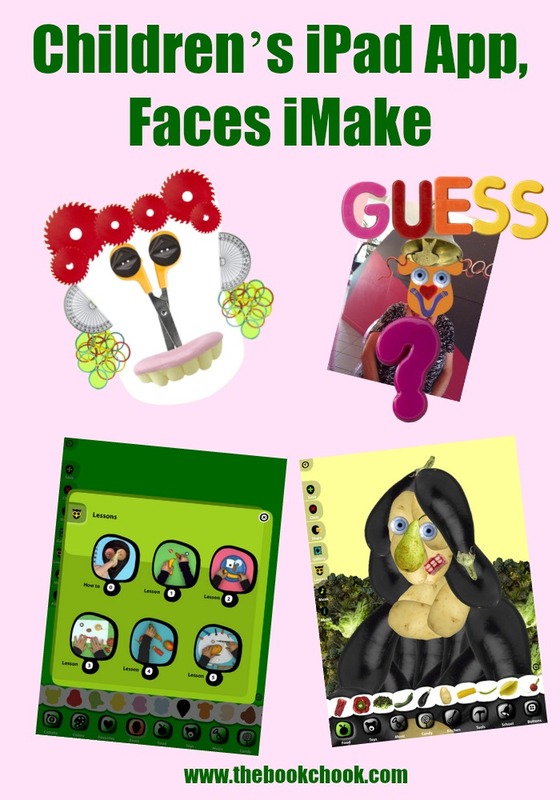 An app like Faces iMake helps such kids express themselves and share their own creativity. I love it when a developer adds value to an app by providing a tutorial on using it. Faces iMake is easy and fun to use. Even without instructions, it is intuitive and has easy menus to follow. Kids are presented with a range of stickers in different categories - e.g. toys, candy, kitchen objects, and letters - and are able to add these stickers to one of their own photos or to a head shape offered from another menu. This facility to use actual photos as a base means users could create Who Am I’s or similar images - a nice idea for a guessing game in the library or classroom. I think being able to choose letters really helps make the app useful in an educational setting. Even if kids only name their creation, they have still been focused on creating, imagining, making choices, spelling etc. I like the way the app encourages kids to think outside the box and imagine to what use they could put everyday objects. The developers also offer a safe global online environment called Creatubbles where kids can share their creations. That’s because the developers believe “… that great art is made from playing but even greater art is made from playing together.” Nice! Similar apps I've reviewed where kids can create by using stickers to decorate faces and figures are: ZoLo, Imagination Box, Miximal, Puppet Workshop, Nature Workshop, and Sago Mini Monsters. I will be adding Faces iMake to my List, Creating with Children and iPad Apps, embedded below.